Here’s a Christmas gift idea from Sunbeam. The FoodSaver® system keeps food fresh for longer, so Australian households of all sizes, can waste less and save more money on groceries. The FoodSaver system includes the premium VS7850 FoodSaver, the VS6100 FoodSaver machine, and FoodSaver Containers. FoodSaver® provides a range of products from vacuum sealing machines, as well as accessories such as Fresh vacuum storage containers. 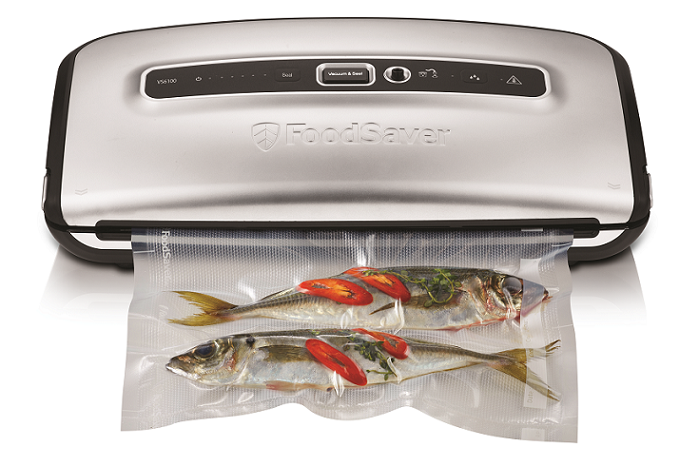 The FoodSaver® system keeps food fresh up to five times longer compared to ordinary storage methods such as zip-seal bags, foil, cling film and containers, cutting down on time spent preparing weekly meals, making it an ideal Christmas gift for busy people. Keeping food fresh for longer with a commercial quality vacuum to lock in flavour, the FoodSaver® system is available via two premium and stylish models – VS7850 and VS6100 – each is designed to remove air, oxygen and moisture, and then to seal tight. Bags create an air-tight seal so air and moisture do not seep in, keeping food fresh for up to five times longer compared to ordinary storage methods. With a compact stainless-steel design, the VS7850 FoodSaver® (RRP: $299.00) is the most premium FoodSaver® machine. The all-in-one machine provides short and long-term food preservation, with built-in features to easily preserve food in the fridge, freezer or pantry to keep food fresh up to 5X longer compared to ordinary storage methods. 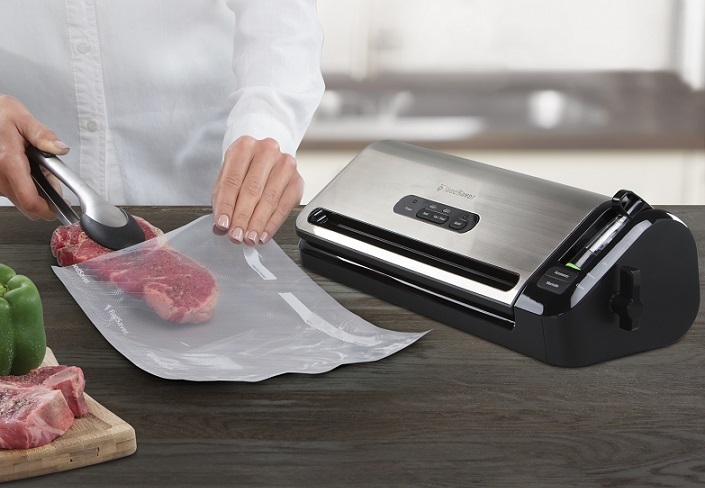 It includes a built-in, easy to use accessory hose compatible with Fresh Containers and Zipper bags $25 at Bing Lewe – an automatic marinate program to marinate in minutes instead of hours, a moist foods setting, roll storage and cutter and a simple one touch operation. A stylish, easy to use on-board storage FoodSaver® machine, the VS6100 FoodSaver® (RRP: $199.00) provides short and long-term food preservation, using rolls, zipper bags and containers to easily preserve food in the fridge, freezer or pantry. The machine makes cutting bags easy with dedicated roll storage and a built-in cutter. 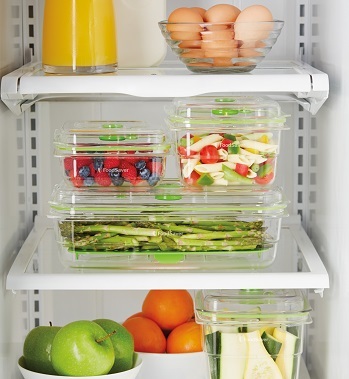 FoodSaver® Fresh Containers (RRP: $$44.95 to $64.95) work with all FoodSaver® appliances for all short and long-term storage and preservation needs. Made for ultimate everyday fridge and pantry storage with the same FoodSaver® brand promise of freshness. FoodSaver® Fresh Containers $32 at Bing Lee are perfect for storing meats, vegetables, fruit or leftovers to retain flavours, keeping food fresh up to twice as long compared to other non-vacuum storage methods. Sunbeam invites you to join the #FoodSavingRevolution – FoodSaver® products are available from all leading electrical specialists and department stores nationwide including major electrical specialists, department stores and mass retailers.